Genoveva Jardim’s father was a monster—a defrocked priest who used his healer’s gift to murder instead. 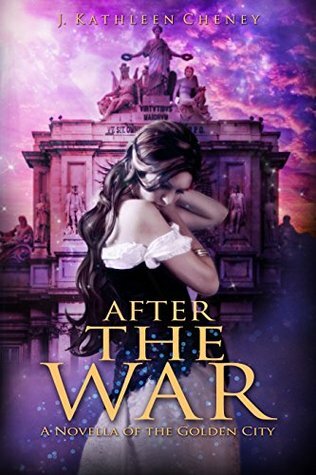 Determined to make amends for the deaths her father brought to the Golden City, she turned her back on her life among the aristocracy. She’s chosen to work for the Special Police, learning how to use the healer’s gift she’d never even known she had. She wants to save lives instead of killing like her father. Rafael Pinheiro has kept an eye on Miss Jardim for some time now. 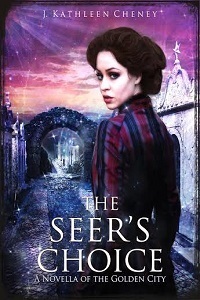 The very first time he met her, his seer’s gift told him he would someday marry her. What he can’t figure out is why he would choose her. She’s young and an aristocrat—hardly a match for a mere police captain raised in an orphanage. They don’t seem to have anything in common. After the Great War, Alejandro Ferreira wandered across Europe, unable even to remember his name, until one night in Lisboa, a young woman recognizes him. She brings him home to his family–one he can’t recall, but very much wants to keep. His seer’s gift has been as much of a trial as a blessing. It didn’t keep him out of trouble during the Great War, either–someone cursed him to lose his memory. Someone else is after him, wanting him to keep a secret he doesn’t even remember he has. And he quickly learns that all is not well between himself and his lovely wife. Without his memories or his seer’s gift, can Alejandro rebuild his life and unveil his stalker before they eliminate him? Nous sommes en 1880. La Guerre Civile américaine fait rage depuis deux décennies, poussant les avancées technologiques dans d’étranges directions. Dans les Territoires de l’Ouest, les villes baignent dans des gaz mortels, alors que la terre est vidée de ses ressources. Sur la frontière entre le Nord et le Sud, les espions fomentent leurs complots et les trafiquants font plus d’argent que leur gouvernement. C’est dans ce monde que vivent Briar Wilkes et son fils. Elle est la veuve de l’infâme Dr. Blue, créateur du Boneshaker, la machine qui détruisit Seattle, perçant accidentellement une poche de gaz qui transforma les vivants en non-morts. Mais quand son fils décide de franchir le mur qui cerne Seattle en ruine dans l’espoir de réécrire l’histoire, elle doit le retrouver au plus vite avant qu’il ne lui arrive malheur. Sa quête la conduira dans une ville grouillant de morts-vivants affamés, de pirates de l’air, de seigneurs criminels et de réfugiés armés jusqu’aux dents. Seule Briar peut le ramener vivant. 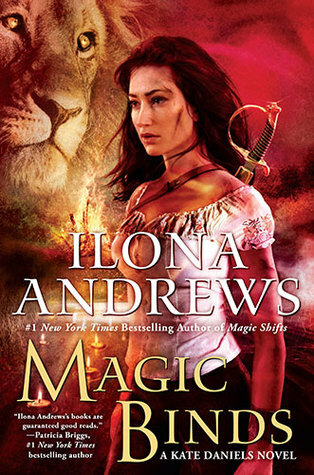 So many people love the Ilona Andrews series at the mo. I seriously need to get on that band wagon for sure. I will try and start one in my time off. Great post and happy reading. Oooh nice! So many new to me reads! So many reads that look freaking awesome! LOL! Hope you enjoy them all! Que de jolies couvertures ! J’aimerais beaucoup lire la série Kate Daniels. I read the first Kate Daniels book years ago but never continued with the series-I keep meaning to go back and try it again. Have a good reading week! Je ne connais pas tes réceptions mais les couvertures sont magnifiques. Oh my. I have to get back to the Kate Daniels series. 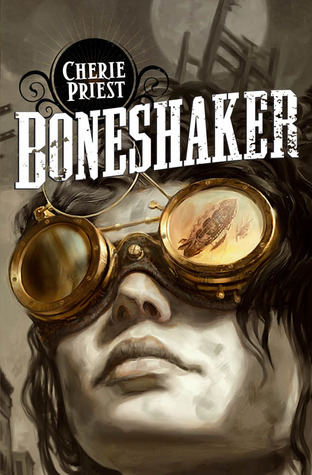 I do hope you enjoy Boneshaker when you get to it. Have a great week! La couverture du dernier fait bien envie !